We have thirty – forty children’s books checked out from our local library at any given time. The kids love going to the library and picking out books and they’re even getting better at our three rules of visiting the library. The same as with approaching forest animals, so too, are the Davis children at the library. That is until one of them gets excited, runs and yells. We still haven’t been kicked out in any of our visits with Alice along. I’m still traumatized from when the boys were Alice’s age and they were crawling around under the checkout kiosk while I frantically checked out our stack of books. One of them discovered the master power switch on the floor and pushed the button to turn off power to the entire row of computers. Ummmmmmmm. Switching the button back did no good and a librarian was quickly by my side “Here let me help you” she said as she took my books, walked to the desk, scanned them all and put them back into my bag with a look on her face that said now it’s time for you to leave. I didn’t go back to that branch for a month. And it took even longer for me to attempt another trip to the library without a stroller. 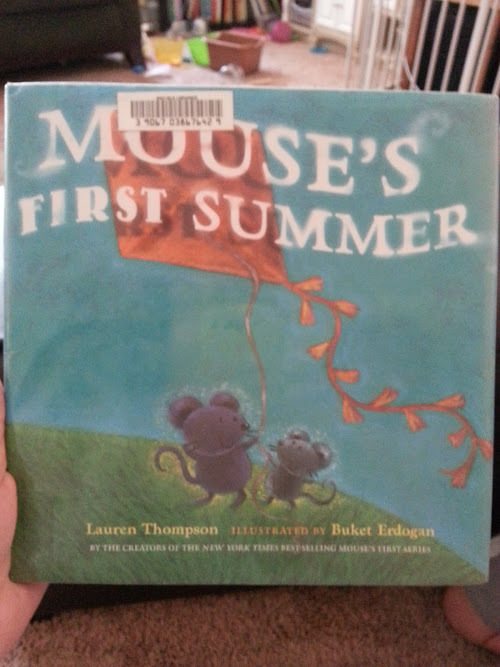 Alice is loving all the books and is currently wanting to re-read any of the books in the Mouse series. 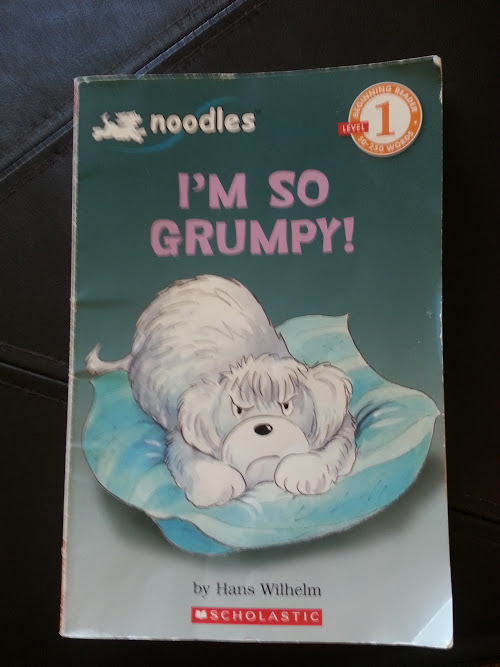 She’s also obsessed with any books that deal with emotions, in particular anger or grouchy feelings. It’s a bit comical how many times she wants to read I’m So Grumpy. 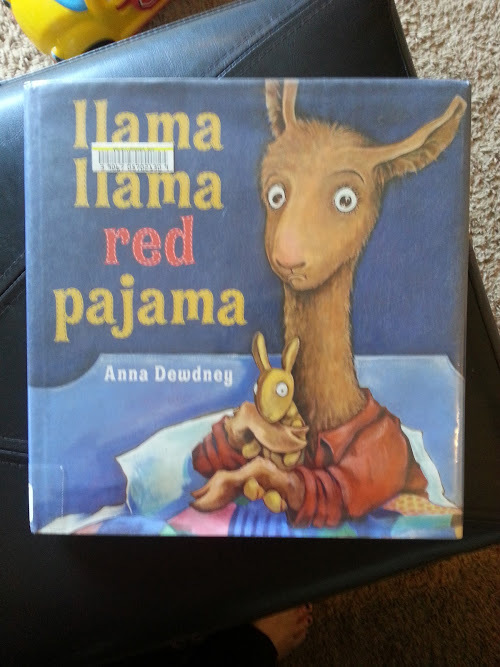 And while I love all the Llama Llama books in the series, Llama Llama Red Pajama gets a lot of play because the little llama looses his patience and YELLS for his mama’s attention. And this book has been particularly therapeutic for Alice and I. I had an awful Mommy Tantrum almost three months ago. Poor Alice was sitting in her high chair for lunch and witnessed my huge volcanic blow up in the kitchen. 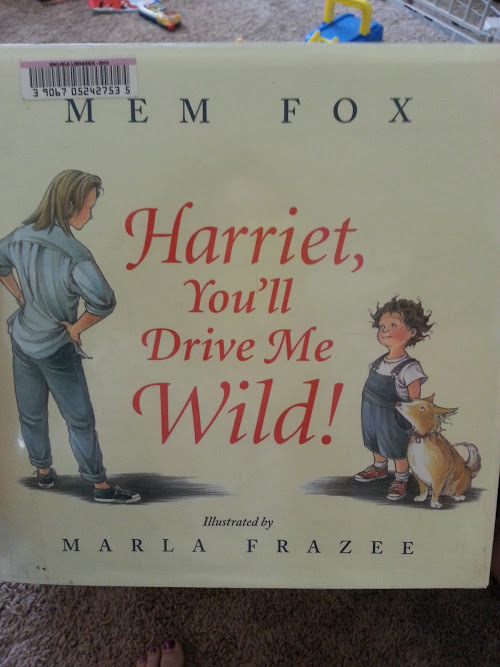 Harriet, You’ll Drive Me Wild! has a page where the Mommy “yells and yells and yells” and for the first dozen readings Alice would always talk about “jelly all over the ceiling” when we were reading the book (which is what happened when I slammed a jar of jelly on the kitchen counter and the jam exploded out of the jar and hit the kitchen ceiling. I felt so horrible that day. That I lost my patience, that I yelled, that Alice had to witness it, that I screwed up. But we’ve spent a lot of time talking about the episode. What everyone did to contribute to the situation and what Mommy should have done. Perhaps I’ll do a decent post about that episode some day. We’re finally getting enough distance from that day to see the good in it and a bit of the humor too.